Splash Financial has made a "splash" in the student loan refinancing market over the last year by offering some of the best rates and best student loan bonuses available. They started out focusing on medical school loan refinancing, but they now have expanded and offer an general student loan refinancing product open to anyone with a bachelors degree. They also still offer some unique repayment plan options for medical professionals that can make repayment easier. Studying to become a doctor? By the time you graduate from medical school, you’ll have wracked up $190,000 in educational debt on average. Sure you’ll have high earning potential and stable job prospects, but that kind of debt is a tough pill to swallow- especially during residency when you’re not earning much, but you have to start making payments on your debt. 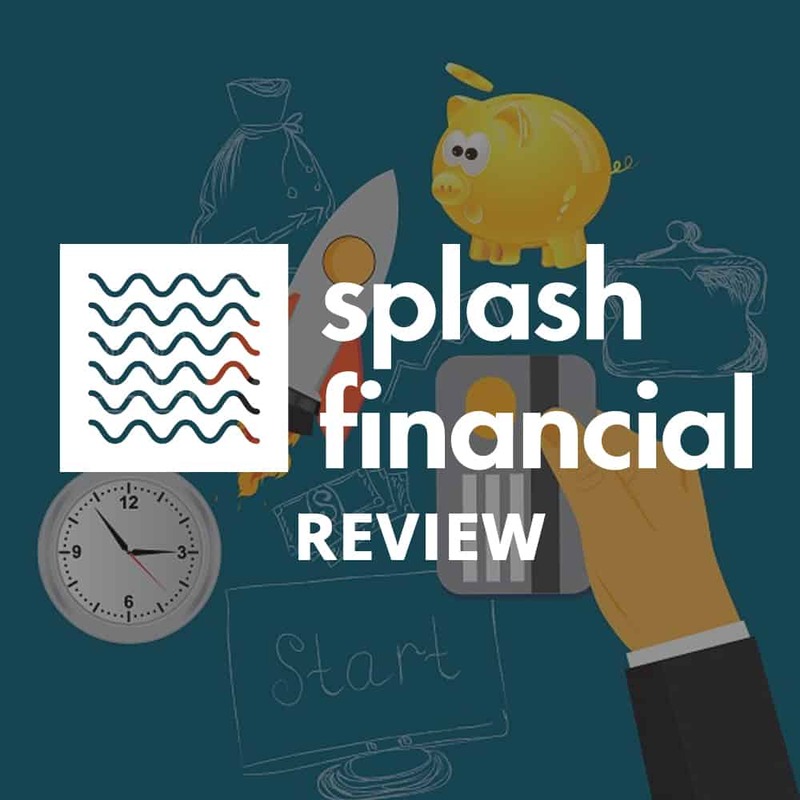 Check out our review of Splash Financial and see why we list them on our Best Places To Refinance Student Loans guide. Splash is currently offering College Investor readers a $500 bonus if you refinance at least $50,000. 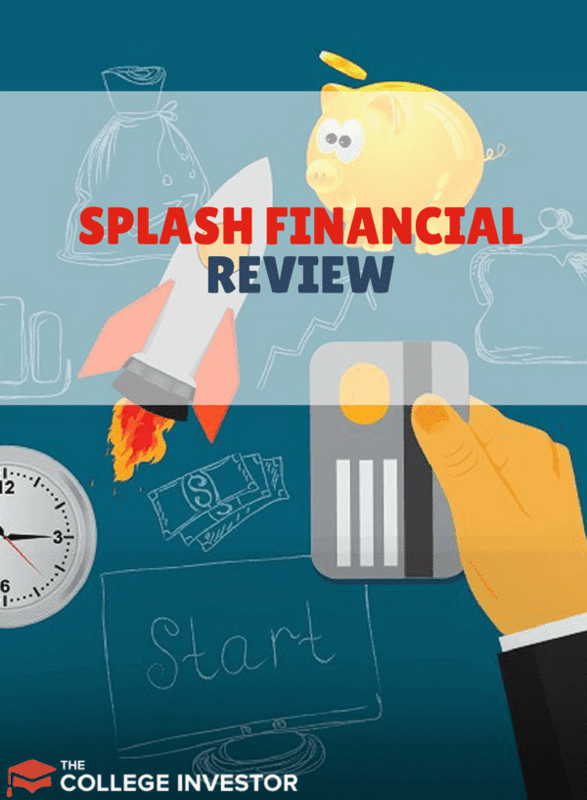 Should you refinance with Splash Financial? Splash Financial recently launched a general student loan refinancing product that targets all borrowers with a bachelors degree or higher. This product is highly competitive, with some of the best rates we've seen compared to the other top student loan refinancing companies. They currently offer loans from $7,500 to $300,000, with no application or origination fees. Term lengths are: 5-year, 8-year, 12-year, and 15-year. Remember, rates are subject to change without notice. These rates are accurate as of April 1, 2019. For current rates and fees, check out Splash Financial. Their loans offer no deferments, forbearance, and sadly, no death or disability loan forgiveness. This is in contrast to SoFi, who does offer some deferments and even loan forgiveness for death. Sadly, the general student loan refinancing is not on Credible, so you can't easily compare. You would need to go to Splash Financial directly to see this option. Medical student debt, can be overwhelming and expensive. can make it easier to handle during your training. The company offers decent rates, and amazing terms. If you’re struggling with Medical education debt, look Splash Financial, but be sure to compare the terms and conditions with other lenders before you decide. In the past, medical professionals often had to struggle through residency before finding refinancing options. Today, medical residents and medical students have a myriad of low-cost refinancing including Splash Financial, a company the specializes in refinances debt for medical professionals. If you’re in medical school, residency, or just starting your career, refinancing your loans with Splash Financial could be a savvy move. But before you apply, here’s what you need to know. We are partners with Splash Financial and you can get a $500 bonus when you refinance over $50,000 with them. Check out Splash Financial here. Splash Financial charges no origination fees when you refinance your educational debt. For some borrowers (especially people planning to pay off their loans quickly), this can yield a ton of savings. However, Splash Financial isn’t the only company offering this perk. SoFi, CommonBond and other upstarts are also offering this option, so be sure to compare rates before you commit to any company in particular. The thing that sets Splash Financial apart from other loan refinancing companies is that borrowers don’t have to make their full payments right away. During medical school, residency, and for 90 days following residency, you can make $1 per month payments. In many cases, this will save you more than putting your loans on a federal income-based repayment plan. Once your grace period expires, you’ll have ten years to pay off the loans. Splash Financial has some of the best rates we've seen. Splash Financial charges a 3.25%-6.69% interest rate on their loans. They currently offer a 5-year, 7-year, 10-year, 15-year, and 20-year loan term. You must meet minimum credit criteria (Splash calls it responsible borrowing) to refinance with Splash Financial. Loans must be between $25,001 and $350,000. A lot of borrowers (especially fully-employed doctors) can find better interest rates than those offered by Splash. However, medical students and residents may struggle to find rates as low as Splash offers (especially given the $1 per month payments during training). Remember, all rates and terms are subject to change. These rates are accurate as of August 23, 2018. Check out Splash Financial for the latest updates. Refinancing your loans to Splash Financial means you can’t qualify for Public Student Loan Forgiveness (an option for many medical professionals who work in not-for-profit hospitals), but Splash offers some peace of mind for borrowers. Also, refinancing means that you lose access to income-driven repayment plans, which could make your payments much higher than you're expecting. Finally, these are immediate repayment loans - there are no deferments or forbearances. That means payments are due right away and won't stop until the loan is paid off. Medical student debt, can be overwhelming and expensive. Splash Financial can make it easier to handle during your training. The company offers decent rates, and amazing terms. If you’re struggling with Medical education debt, look Splash Financial, but be sure to compare the terms and conditions with other lenders before you decide. Could refinancing your student loans help you save money? Splash Financial is a new student loan lender that offers great rates and loan options. I agree, Splash is a great option for residents and fellows because of their famous $1 per month payments. You may want to change “fully employed doctors” to “attending doctors” or “doctors finished with training.” Residents and fellows are also fully employed, just still in training.